The leaders of the EU institutions remained silent on Wednesday (11 April) while the world got dangerously close to a global conflict over Syria, with two member states, Britain and France, getting ready to go to war. US President Donald Trump warned Russia on Wednesday of imminent military action in Syria over a suspected poison gas attack, declaring that missiles “will be coming” and lambasting Moscow for standing by Syrian President Bashar al-Assad. The EU’s diplomacy chief, Federica Mogherini, is in intense diplomatic contacts and the Syria situation will be discussed in-depth at the Foreign Affairs Council next Monday (16 April), according to her spokesperson. Syria is Russia’s biggest ally in the Middle East and attacks on Syrian military targets may also be considered as attacks against Russia. 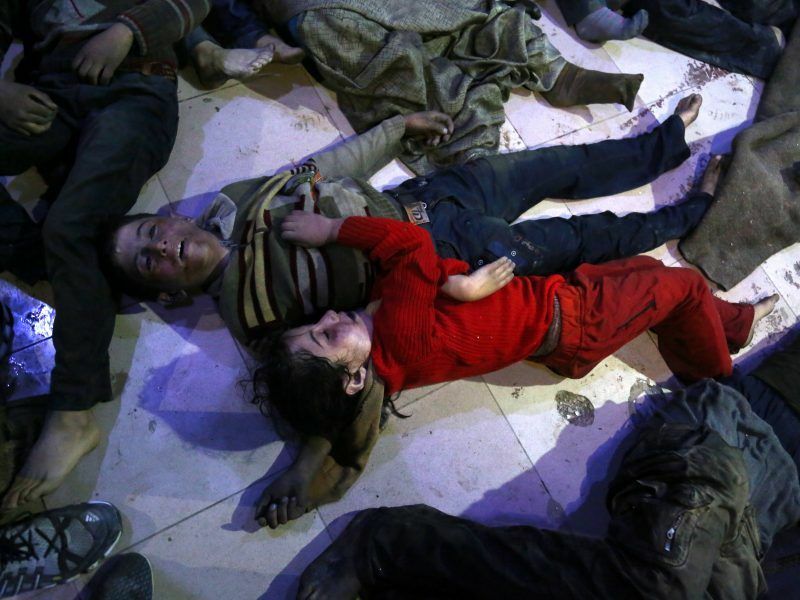 The United States and its allies are considering whether to hit Syria over a suspected poison gas attack that medical relief organizations say killed dozens of people in the rebel-held town of Douma near Damascus on Saturday. The EU said Sunday that evidence suggested the Syrian regime carried out a chemical attack in Douma and urged Damascus’s allies Russia and Iran to help prevent another one. 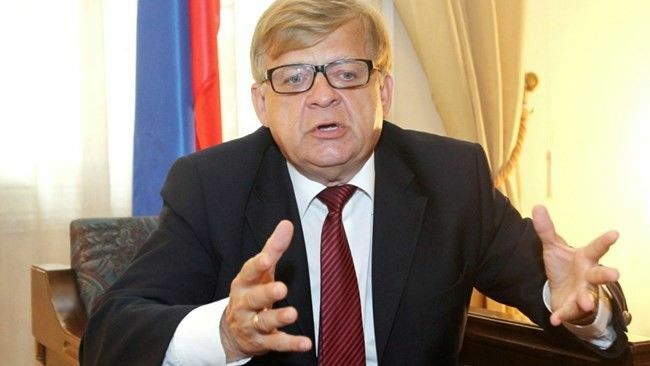 Russia’s ambassador to Lebanon said any US missiles fired at Syria would be shot down and the launch sites targeted, a step that could trigger a major escalation in the Syrian war. Trump responded with a tweet which sounded as readiness to start war against Syria – and Russia. The Kremlin said it did not engage in “Twitter diplomacy”. Kremlin spokesman Dmitry Peskov was quoted as saying that care should be taken not to aggravate the situation in Syria. Damascus and Moscow have denied any responsibility and say the suspected gas poison attack incident in Syria is bogus. The United States invented the reports of a chemical attack in Syria, Peskov was quoted as saying on Wednesday by TASS news agency, adding that this could not be used as a justification for US strikes on Syrian government targets. Civil airplanes have, in the meantime, been advised to avoid Syria’s airspace. 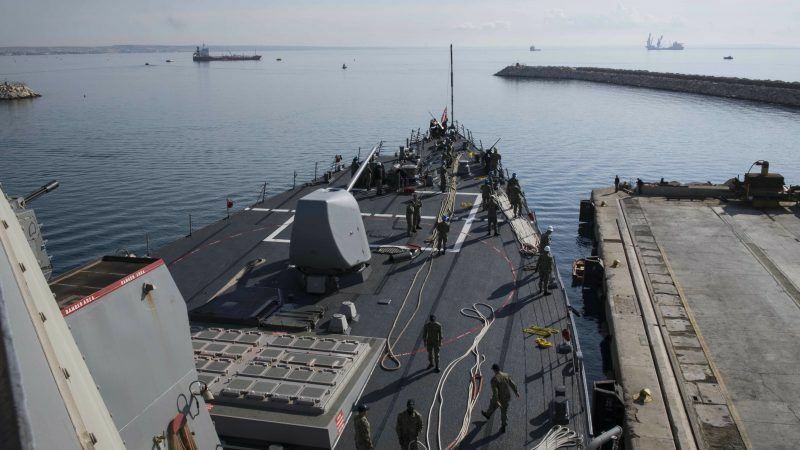 The Russian military said on Wednesday it was closely watching the situation around Syria and was aware of the movements of a US naval strike force headed for the Gulf. The US Navy said on Tuesday that the strike group, headed by the aircraft carrier USS Harry S. Truman, would set sail for the Middle East and Europe on Wednesday. The Russian military said the US strike force was due to arrive in the Middle East at the start of May. Meanwhile, British Prime Minister Theresa May has called her ministers to a Thursday cabinet meeting on Syria, which media reports said was likely to lead to London joining in a military response to a suspected chemical attack in Syria. The BBC earlier on Wednesday said May was ready to give the go-ahead for Britain to take part in action led by the United States without seeking prior approval from parliament. The Daily Telegraph newspaper said May had ordered British submarines to move within missile range of Syria in readiness for strikes against the Syrian military that could begin as early as Thursday night. Sky News reported that May was expected to ask her ministers on Thursday to approve Britain’s involvement in military action against Syria’s chemical weapons infrastructure. May is not required by law to seek parliamentary approval for offensive military action, but recent interventions in Libya and Iraq have been put to a vote. May’s predecessor David Cameron tried and failed to get support from lawmakers to join a military strike in Syria in 2013 over suspected chemical weapons use. The leader of the opposition Labour Party, Jeremy Corbyn, speaking earlier on Wednesday, said parliament should be given a say on any military action May wants to take. May, also speaking earlier on Wednesday, said all the indications were that the Syrian authorities were responsible for the chemical attack in the town of Douma and that such shocking assaults could not go unchallenged. French President Emmanuel Macron said on Tuesday that France would consult with the US and UK on whether to carry out military strikes on the Syrian regime’s suspected chemical facilities. Macron’s remarks came after talks with Saudi Prince Mohammed bin Salman. 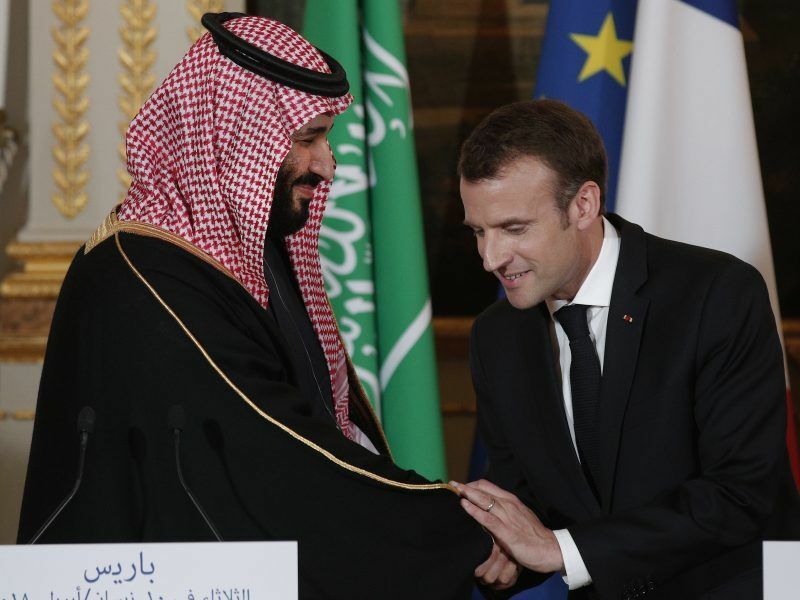 President Emmanuel Macron yesterday (10 April) defended French weapons sales to the Saudi-led coalition fighting in Yemen, but said he was concerned by the humanitarian situation and would host a conference on the issue before the summer. However, Macron said he wanted to issue a “strong and joint response” to Saturday’s suspected chemical weapons attack on the Syrian rebel-held town of Douma. The use of chemical weapons in Syria, the French president reiterated, was a “red line” for France. Stocks across the globe fell on Wednesday as US President Donald Trump taunted Russia for supporting Syria’s president after a suspected chemical attack on rebels, while oil hit its highest since 2014 after Saudi Arabia said it intercepted a missile over Riyadh. The animosity kept investors on edge and weighed on risky assets like stocks, while the safe-haven yen rose against the US dollar.